Digital marketing is the ship which is empowered by your digital dreams and takes your business ahead. Marketing has always been important for a business to grow. But today, it’s more important than ever because of the power behind it – The internet. When content is blazing, social media becomes the gasoline to spread it like a wildfire. Now, the competition and survival of every business are becoming difficult day by day. Digital marketing has become the common weapon preferred by every business to defeat their rivals. And only those emerge victorious in the battle of marketing who take the assistance of innovation and adopt the latest strategies. If you’re dreaming to sit on the throne of the “biggest business” in your competition, it is the right time to change your digital marketing strategies. I am not suggesting to completely discard your current marketing campaign and start a new one! Business without digital marketing is like a fish without water! Winners are those who adapt to change because a change is all it takes. Today is the era of digital marketing with visual advertisements. Videos are turning out to be the best way for business growth like advertising on social media websites such as Facebook, YouTube, Instagram, and Twitter etc. Popular social media websites have observed that their users are spending more than 500 million hours just for watching video ads every day! Now, that is a big number, which is expected to cross the milestone of 17,000 hours in a single day. Videos convert almost 60% of viewers into sales. About 250 million social media users spend their time on watching videos from a smartphone. 1200% more revenue is generated by social media videos as compared to the other forms of online advertisements. Facebook recently reported that 3.5 billion Facebook Live videos have been broadcasted since 2016! Now, that is a big number which holds a great potential for digital marketing campaigns. Live videos enable you to engage people directly with your brand and business events such as product launching etc. The viewers can get a glimpse of the product from the comfort of their home and decide whether they want it or not. Live videos increase the customer retention rate up to 75%. Almost 90% of live video viewers watching the video invite their contacts. In this way, the lead generation strategy works like a wonder and your customers multiply. Online users spend more time on live videos as compared to watching published content. Digital marketing mediums are drastically changing. Users want to embrace brands with AR/VR-based 360-degree videos. The concept of visual marketing and live videos wasn’t enough for the technology giants that their focus shifted to introduce AR/VR-based videos. Such videos provide unique glances of your marketing events or product launches in the 360-degree video from desktop and mobile phones to your customers. Viewers can see your products and marketing events from every possible angle. It helps them to build a better opinion about your services and products. It can be done by making videos with HD camera that supports 360-degree video recording. Another innovation that has redefined business marketing through social media platforms is that of the chatbots. Users want non-stop chatting for their queries related to purchasing the services or the products they need. This is where chatbots emerge as a great marketing strategy that can help your business to grow. Facebook introduced chatbots in its messenger because they consider the user’s social media behavior for revenue generation. It is really easy to incorporate chatbots using the FB messenger. They are easy to install and your users like them very much. Users just need to like your Facebook business page and search your chatbot in your messenger and they can begin the conversation. These chatbots can answer most of the user queries right in the messenger and eliminate any requirement of calling the customer care and waiting to get their queries answered. Some of the famous names such as Uber, Harley Davidson, CureJoy, Adidas, and Ola, etc. are using chatbots for their digital marketing campaign. Chatbots are one of those big reasons why customer base and customer retention rate of such companies is increasing day by day. Their customers get most of their queries answered from the comfort of their home and the need to wait is eliminated. The techniques of digital marketing are evolving very fast that makes it necessary for you to adopt such strategies for optimum business growth. 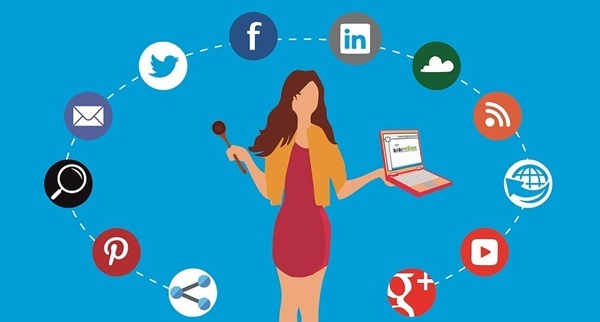 Social media has moved beyond just connecting people, it now engages more customers with your business. Therefore, these are some entirely new digital marketing strategies that you need to enhance your business growth and make a difference. What do you think about these latest digital marketing strategies? Are you familiar with some similar digital marketing trends? Let’s talk in the comments below! Emily Johnson is a professional content writer. She works for SoftProdigy, a leading expert in digital marketing and helping their clients overcome their business challenges. With 11+ years of experience and clientele across the globe, SoftProdigy has been a one-stop solution for all technology related services. 1 comments to "Digital Marketing Strategies That Enhance Your Business Growth"